He is now Chetna’s Executive Director. Lance and I had the chance to meet with him during our time at Chetna’s headquarters. As we quickly learned from Arun, Chetna is not about market premiums. It’s a way of life. It was originally founded in partnership with Solidaridad (a venture between Roman Catholics and Protestants – now independent of church organizations and based out of Holland). Solidaridad initially linked producers of cotton and cotton-based products with consumers, but now Arun has made his mark, pursuing an even bigger vision. He wants to change India through organic farming. I asked him whether it was a blinding flash of an idea to set up the co-operative, but he said it was more of a logical progression. He just met with the right people. He comes from a social work background, but was involved with the Food and Agriculture Organization of the UN – working out how best to deal with pest management without any pesticides and to produce better quality cotton. The next major move was to go totally organic, which involved a pretty detailed process. Organic is about water and soil, so he started to look beyond cotton itself to the water needs of the crop and the theories behind mixed cropping to reduce the presence of bugs and other pests. He then started to think about self-sustaining farming. What systems are needed to help farmers to become self-sufficient? How do you ensure that the farmer is surviving, even during tough harvests? Cash crops alone wouldn’t work. It needed to mixed farming – farming for food and cash crops at the same time. It was also important, in his mind, to eliminate pesticides, fertilizers, and genetic modifications, all of which cost the farmer money and produced a cycle of debt that could lead to bankruptcy and the breakdown of communities. 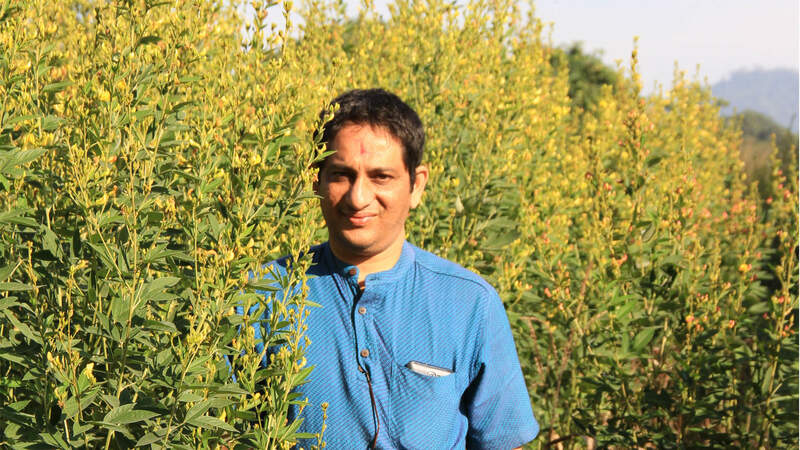 In many ways, Arun sees himself not only as someone teaching farmers or a farmer himself; he sees his work as growing the next generation and ensuring that it will be sustainable both socially and financially.